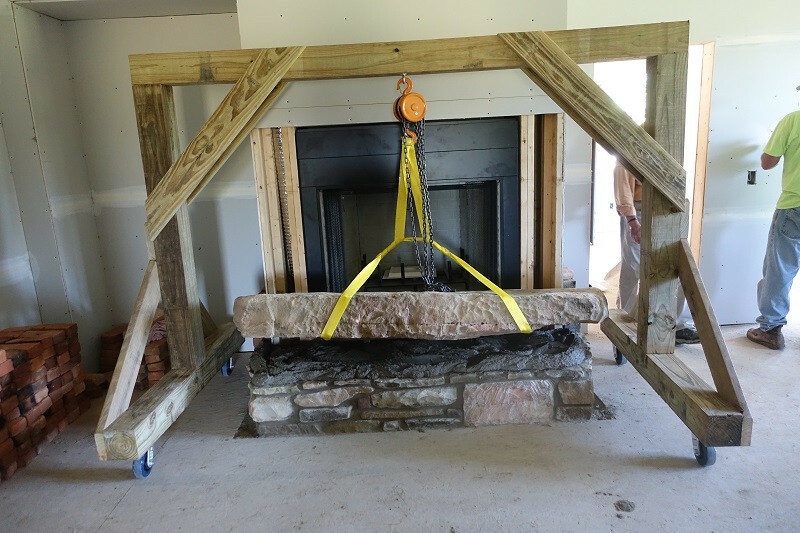 We are relocating stone on the farm from outdoors to indoors. It is difficult to move stone effortlessly. Here a stout hoist and the backs of numerous men move this mighty slab of sandstone into place. This slab is seven feet long, 8 inches thick, and 30 inches wide. It spent the first 400 million years of its life in the immediate neighborhood, first at the bottom of a sea and then as the face of a quarry in the nearby hillside. It spent the last 150 years as the protective cover to a cistern next to this house being renovated. It accompanied a twin slab, now situated on the hearth of a second fireplace in an adjacent room. 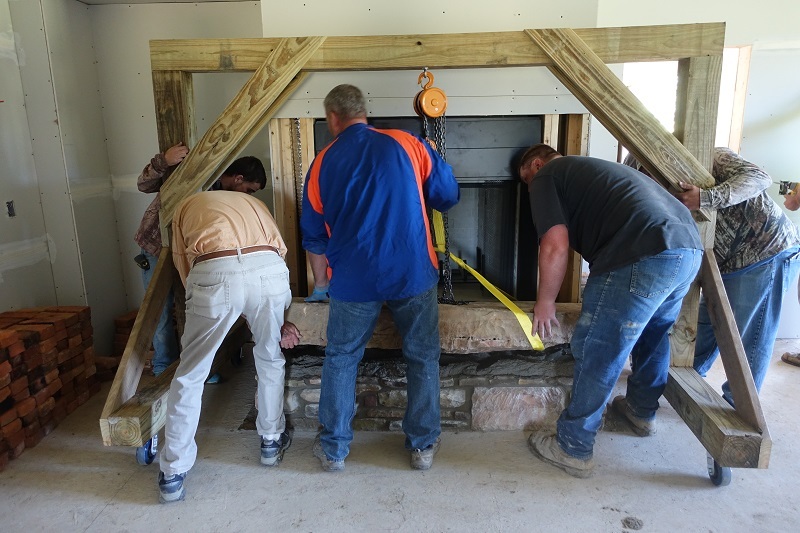 Surrounding the fireplace will be bricks made on the farm over 150 years ago. The foundations of a kiln for making brick are still evident down by the creek. 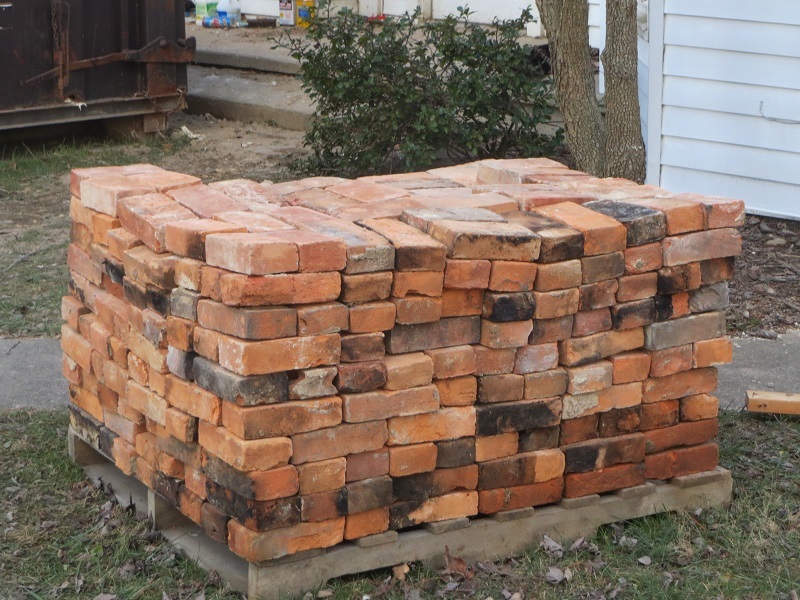 Homemade brick was common in days of yore. Water was mixed with clay and then dried in forms, by sun or fire. When desconstructing this house, built just after the Civil War, we saved the brick from two chimneys. It was very dry and susceptible to crumbling, but we were able to salvage a few pallets' worth. These beautiful representatives of our iron-rich soil will accompany their mighty sandstone cousins in adorning two fireplaces in the house. 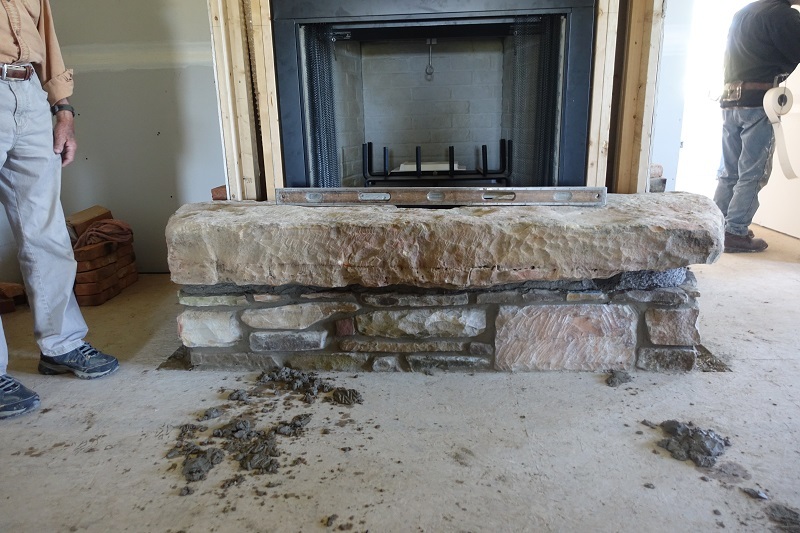 A mantle piece of 3-inch-walnut will add another accent from the hillside to celebrate earth in the house. 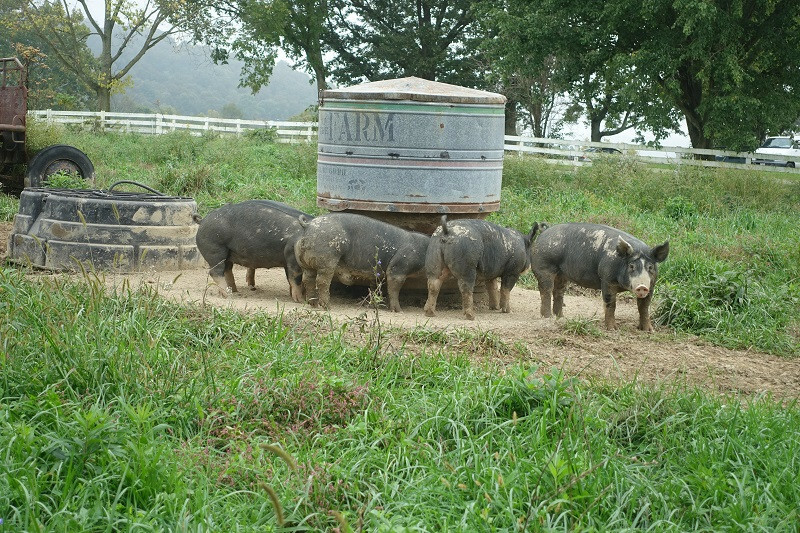 We enjoyed an excellent farm tour last weekend. 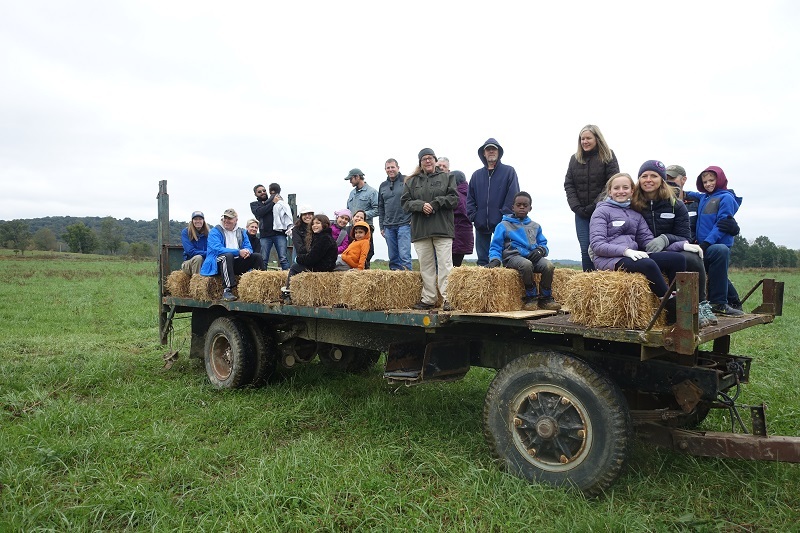 A great range of adventurers made their way to Pike County on a chilly, overcast day. 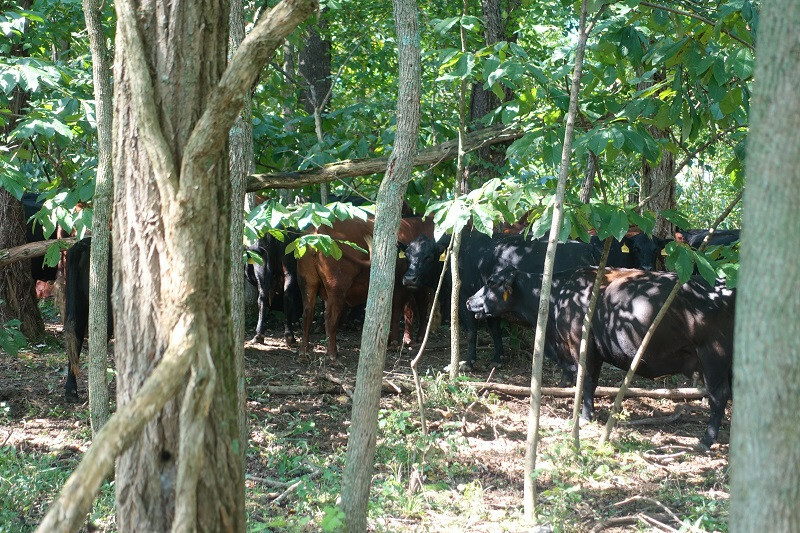 We toured the farm, saw Bo work sheep, witnessed cows, sheep, hogs, and hens in their daily mode, and sat around a warming bonfire for lunch, enjoying pork ragout to nourish appetites and souls. An unexpected pleasure was the presence of Sachin & Divya, fresh off the plane from Singapore. We first met them as customers five years ago on Hyde Park Square, and become fast friends with them over ensuing years. 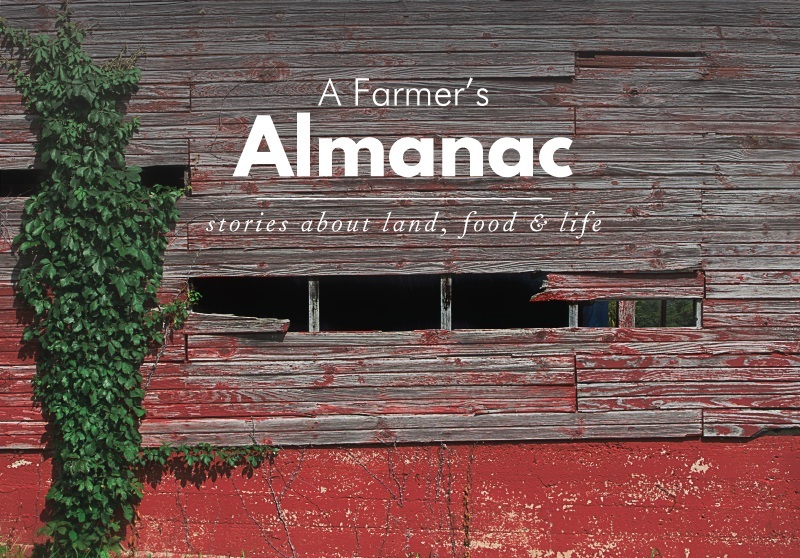 The power of food to connect offers hope to those in despair over divisiveness. 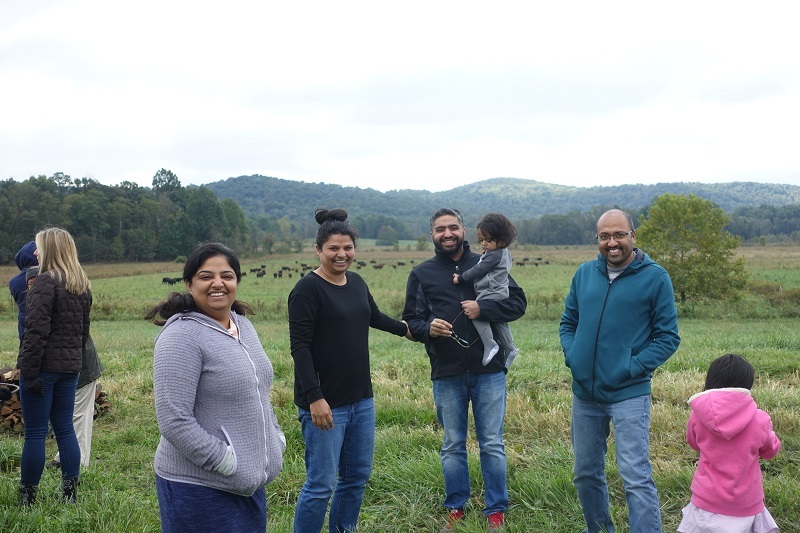 Sachin & Divya's son, Shiv, on his second farm tour in less than two years, has been annointed the future head of the Soil Party. 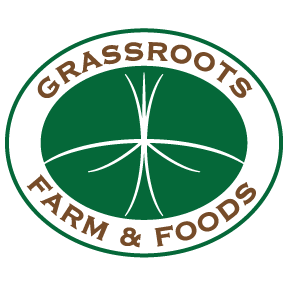 Since soil and food are non-partisan, this Party offers great hope for those worried about divisions within our country and world. Shiv reports not to be worried about this minor responsibility to which he has been enlisted. 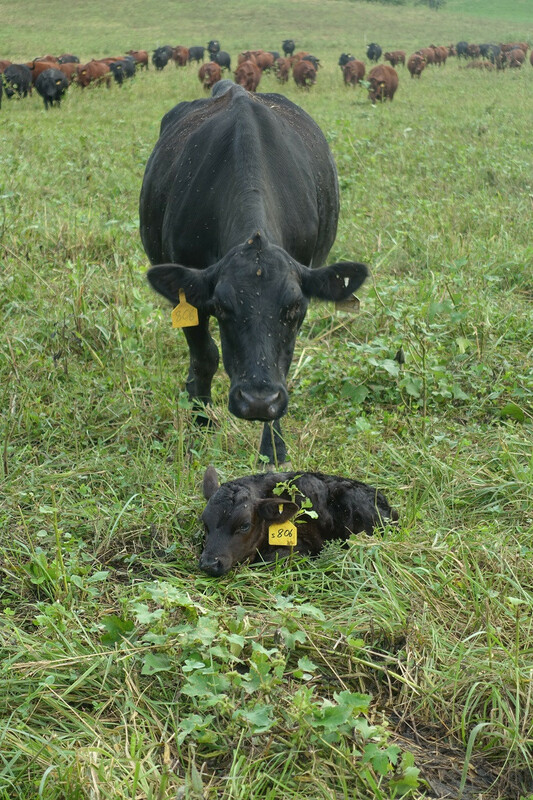 Until he comes of age, however, we each need to take the lead to connect, and connecting over food is a good place to start. 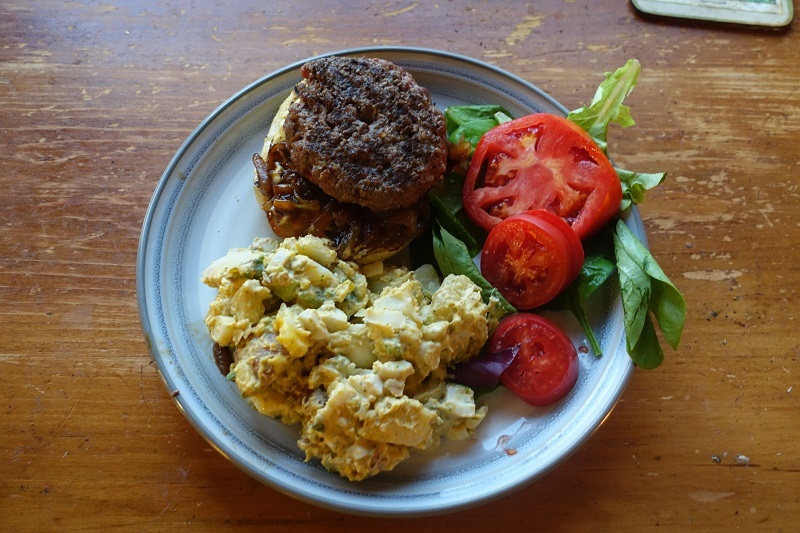 Below is a picture of one of our favorite meals -- a hamburger (cooked rare), potato salad with Moroccan aioli, and among the last of tomatoes. We have found energy this weekend to smoke capons. If you would like to reserve half a smoke chicken, or two, for this Sunday, send a note. We also continue to take reservations for turkeys for Thanksgiving. They will be delivered frozen the Sunday before at Clark Montessori. We will be grilling sliders on Sunday at Hyde Park Square, and look forward to seeing you there, rain or shine.